Not long ago, someone asked me in a comment on social media whether the elves [álfar] in Norse mythology might not be a cover for the Sami [Sápmi] people. As an argument, the questioner referred to the Edda poem Vǫlundarkvíða [Lay of Volund]. The poem centers on the tragic hero, Vǫlundr, who in the prose introduction to the poem is identified as one of the three sons of the Finnakonungr – the Finnish King. In the Old Norse language, a Finn equaled a Sami person. Furthermore, Vǫlund´s realm, Ulfdal [Wolf Valley] is invaded by a king from the south, Vǫlundr is captured and hamstrung and set to work in the king´s forge on an islet, exploited, but extracts his revenge through the use of great magic. The idea that the poem deals with cultural memories of how the Sami people were suppressed and exploited by Norse people who lived to the south of them is certainly tempting, although it should be mentioned that Norse and Sami people mainly lived side by side in peace and that there is little reason to speak of severe suppression until quite late – the Sami paid taxes to Norse kings during the Viking Age, but so did everybody else, including the common Norseman. The real suppression did not come until way after the conversion, when the Sami came to represent the only surviving pagans of Scandinavia. In stanza 13 and stanza 32 of the actual poem, the conquering king addresses Vǫlundr as a Lord of Elves [visr alfr]. Do these cues prove that elves were really ways of describing the Sami people in poetry and myth? Not really. Another “Lord of Elves” in Norse mythology is actually Freyr, who is often called Álfa Drottinn [“Lord of Elves”] (yes, they had tons of words for “lord”), and he was clearly a god of agriculture, law, kingship, representing a lifestyle that was not exactly particular to the hunter-gatherer culture of the Sami. Also, Vǫlundr is described as a smith. His magic is conjured mainly through the forging of metals. Metalwork was not exactly particular to the reindeer-hunting Sami either. In fact, elves are often identified with dwarfs as well as with the so-called haugbúi – the mound dweller, the soul of an ancestral father being present and awake in his burial mound. And they are constantly associated with the forging of metals, which is clearly not a good description of the Sami people. What about his magic? We know that the Sami were deeply respected for their magical prowess and that Norse people sought them for shamanistic séances and even for apprenticeships. But even in his magic does Vǫlundr fit neatly into Old Norse traditions. His name means “Wand Grove” – incidentally, in Old Norse, a labyrinth is called a Vǫlundarhús – “The House of the Wand Grove”. Labyrinths had been used by Norse people ever since they imported the symbol and rituals from the Minoan culture during the Bronze Age. The word for wand in his name and in the word for labyrinth, vǫlr, is the same word that is applied in the title of the famous oracle of Old Norse religion, the Vǫlva [“Wand-Wed”/ “Shrine of the Wand”]. If we look to more details in the poem, we may notice that Vǫlundr and his two brothers are married to three “southern” valkyriur, who one day show up at Sævarströnd, spinning the precious linen of fate and wearing the hides of swans. The name of this place where the three “sons of the Finnish king” meet their supernatural, fate-spinning valkyriur, literally translates as “The Beach of the Soul”. Later, when Vǫlundr is set to work at the king´s forge, this forge is situated on an islet called Sævarstadir – “The Place of the Soul”. The symbolism of Wolf Valley and Wolf Lake in the poem, where the three “Finnish” brothers go to live with their divine valkyria wives, are typical to Norse myths – wolves represent desire, ambition, hunger, greed, will to live, all the positive and negative aspects of being alive in the material world. Rather than being a story of one people suppressing another, it is a story of how the soul may get lost in the material world of the living, how the soul may succumb to the powers of greed. This is not far-fetched; Norse myths are in fact related to the myths of the Vedas, where such themes abound. Also, the worship of elves in Norse religion is well known. The annual Alfablót was also intimately linked to the worship of ancestral fathers, and we know that there was a frequent overlap in Norse sources between the álfar [elves] and the haugbúir [mound-dwellers, i.e. buried ancestors]. The worship of elves was clearly connected to ancestral father worship – and as such, the elves are somehow connected to archaic, shamanistic concepts of the “soul”. “The Scots of Iði´s Settlement”. In the Þórsdrápa, we hear the story of Thor´s battle with the giant Geirrǫðr and his daughters. The rules of Skaldic poetry demand that every character or place is referred to by poetical metaphors known to us as kennings. The poem consists of 19 stanzas going through every detail of that myth, in each stanza providing at least two marvelous kennings for “Thor” (or “god”) and another two kennings for “giant”. This means that the poet had to invent at least 38 metaphors for “giant” just for this one poem. And so he got creative. Among these 38 kennings for “giant”, Elifr (the poet) applied several different foreign identities in order to say “giant”. Eilifr, the poet, was a Norwegian skald, addressing an audience of Norwegians who obviously did not come from the county of Rogaland, and who thought that the use of Britons, Scots, Welsh, Swedes and, well, Rogalanders, were perfectly fine poetical metaphors for “giants”. In stanza 2, we learn that giants may be called ríkri skotum Iðja setrs : The Scots of Iði´s Settlement. In stanza 11, a giant is called skyld-Breta skytju: The Briton´s Kinsman of the Cave. In stanza 12, giants are called Flesdrótt kólgu dólg-Svíþjóðar: The Wave of the Enemy Crowd of Svear (Swedes). In stanza 13, the court of giants is referred to as hellis hringbálkar Kumra: The Welsh Ring Court of the Cave. In stanza 19, the giants are called Rygir Lista val-látrs: The Rogalanders of the Districts of the Falcon Lair. Rogaland was then an ancient tribal land and is still a county of the same name in southwestern Norway. Does this mean that Scots, Britons, Welsh, Swedes and Rogalanders were identified as giants? Of course not. They were identified as giants no more than Finns were identified as elves. In the poem Haustlöng by another Norwegian skald, Thióðolf, a giant is indeed referred to as a Fjalla Finns: A Mountain-Finn. So when another poem refers to a Finn who is also an elf, like Vǫlundr, this does not mean that Finns (Sami) and elves are identifiable, for then, Finns would also be identifiable to giants, just like Scots, Britons, Swedes and Rogalanders. And let us not forget the Danes; in the Edda poem Hýmiskviða, stanza 17, giants are referred to as Bergdanir – Mountain-Danes – and Thor is their “breaker”, Briotr Bergdana; the Breaker of the Mountain Danes. 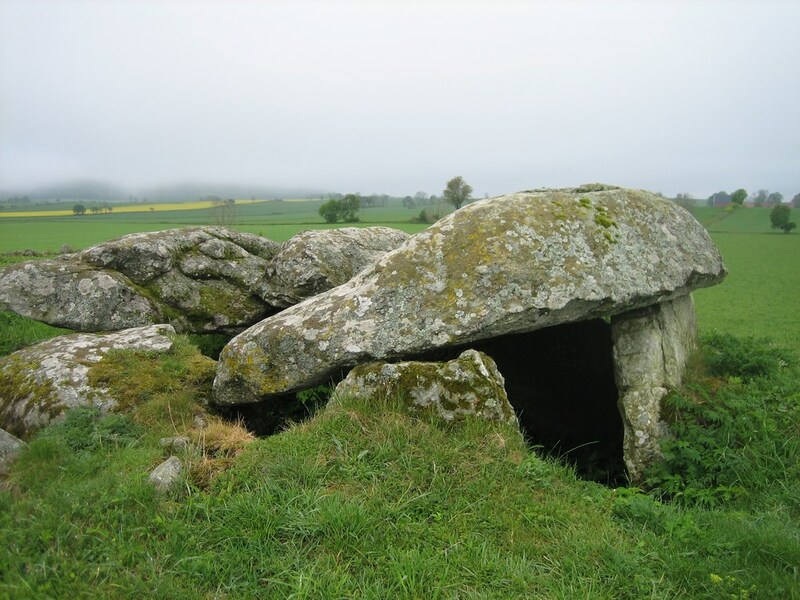 Not even the Goths/Gauts (people from Götaland in Sweden) are spared: In stanza 20, we hear that the boat of the giant Hymir is referred to as Hlunngotr – “The Wave-Goth”. In fact, the use of gotr/gautr (Goth, Götalander) often appears in Norse myths either referring to a man in general, a god, a horse – or in kennings for other steeds (like boats)– and for giants. We know that many of the skalds whose poems have been preserved to us because of Icelandic chroniclers were Norwegians, many of them from the courts of Trøndelag in Norway, and that this area may also have been a late pagan cultural stronghold in which many of the Edda poems took the forms that we know today. To these Norwegian Thronds, other tribes such as Goths, Danes, Swedes, Finns, Britons, Scots, Welsh and Rogalanders were representing foreign identities, that which existed outside of their home spheres. For this reason only, they could be applied in poetical metaphors for “giants”. And all through the Norse material, what counted for foreign identities could be used not only for giants, but for all supernatural beings – even the gods are sometimes appearing in the guise of a foreign nation – someone from the outside – such as when the Edda heroic poetry applies the Hunnish nation to describe the Aesir and the king Attila to describe Odin – an identification which was clearly not meant to be understood literally.